Community Bridge offers state of the art Snow and Ice Services for Commercial, Corporate, Industrial, Government and Institutional clients. CBI ensures that your property is cared for the way your customers, employees and guests deserve and expect. Our professionals will make certain your property is maintained, accessible and safe. CBI provides individual services or all-inclusive contractual solutions that enhance and retain your asset value. CBI has the best equipped and trained grounds management team in the industry. We take pride in managing award-winning properties and meeting the toughest grounds care challenges. 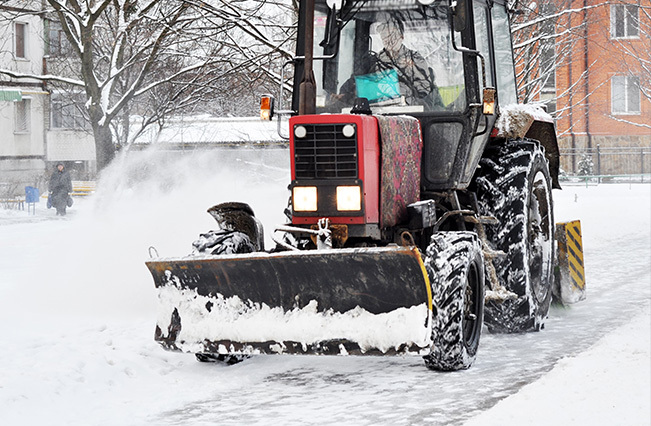 Our clients trust us to provide reliable, efficient and effective solutions to ensure operations continue as usual, regardless of what Mother Nature has in store. We are up to the challenge. From roadways to entry ways, you can count on CBI to ensure surfaces are safe and will help keep your business running. We uphold our promises. And our sustainable approach further guarantees our snow clients spend their money wisely.